PROFANE is a 3D Bullet Hell that proposes a mechanic for life and currency based on time. This means that the player has to face every Boss and defeat them before the time runs out. Buying skills or being damaged during a game session, will reduce your remaining combat time. In Profane you embody Talaal, the last of God’s seven masks. Talaal finds her bearer just in time to fight against it’s siblings, that hunt her to absorb the power within the mask. Along your path, you will unlock abilities by defeating each boss. Before each battle you will be able to customize your ability loadouts to optimize your game style. 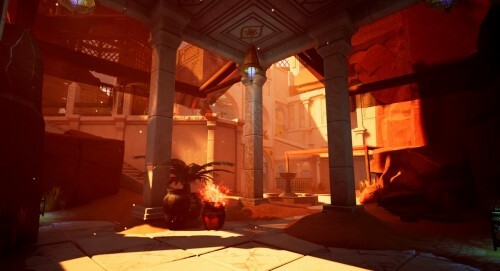 DEATHRONED is a first-person shooter with the soul of a roguelike, where the player controls a powerful sorceress fighting in a magical palace inspired by the atmosphere of One Thousand and One Nights. The player can reinvent their combat style anytime, combining powerful magical attacks to obtain numerous abilities. The palace procedurally generates its levels each time they are played, providing a unique experience in every playthrough. 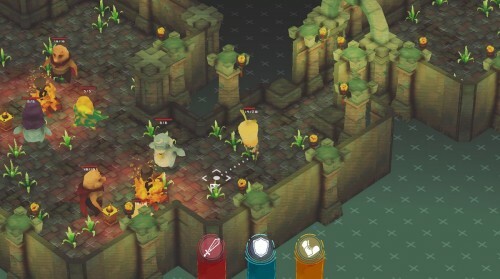 VERDUNGEON is a 3D roguelike dungeon crawler for PC and consoles about vegetable heroes fighting against the herbivore forces for the food chain. Verdungeon combines classic board games concepts with a dynamic turn-based system. Carroto, our protagonist, will unleash The Tridice Power (attack, defense and action) to explore the procedural dungeons of the Orchard Reign and defeat the evil herbivores who have invaded them. It’s like Dungeons & Dragons meets Binding of Isaac in the Crypt of the Necrodancer’s dance floor. Juego musical donde podrás tocar la batería con movimientos naturales aprovechando las posibilidades de los mandos de Realidad Virtual. 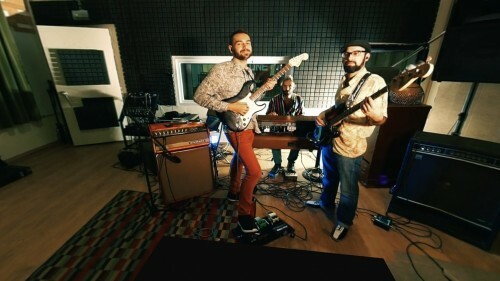 Toca integrado en una banda formada por guitarrista, bajo y piano, en video 3D 360 hiperrealista. La mayor inmersión posible. Innovadora integración de video VR de alta calidad con gráficos 3D interactivos realistas.